Born and raised on Delaware's eastern shore there is no doubt that your Captain, Bill Bixler, knows these waters like the back of his hand. 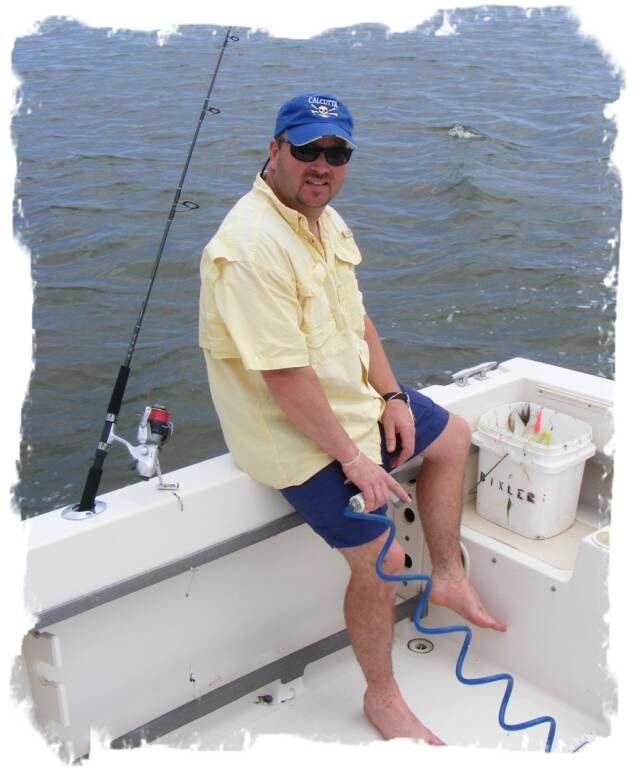 An avid outdoorsman, Bill is well versed on the the area's waterways, whether he's fishing inshore or off, or maybe just doing a little bottom bouncing on the Indian River bay . With over 28 years of experience navigating these waters and his USCG 50 ton Master's Captain's License, you can rest assured that you are in capable hands. A local through and through you are guaranteed to receive an education on the water and the marine life contained within. Your Captain holds great respect for these waters and their delicate ecology and is diligent in his preservation of them and their surrounding wildlife habitats. A self employed, General Contractor in the "off" season, he resides in a custom home he built himself in Selbyville, DE, with his daughter Jessica and their two rambunctious dogs Kelli and Remi . Life is never boring in these so called "Quiet Resorts"!